Whether you’re thinking of starting a business or in the early stages of your new venture, you need the right motivation and support network around you to succeed. To show you how exciting yet hard work self-employment can be, we’ve pulled together some of the most inspiring small business champions in the UK today. This interactive session will get you saying “Ow Do?” to each other and finding out more about the business, the start-up idea or the current profession of those you meet. As one of Yorkshire’s leading small business champions, Tina will explain the importance of self belief and selling yourself to others without coming across as pushy or opinionated. Promoting yourself is important – because as an entrepreneur if you don’t have the passion for your product or service why should anyone else? As one of the most knowledgeable, experienced and outspoken commentators on start-up initiatives, Tony shares some fascinating insights on what is right and wrong with business support in the UK today, Government programmes, Start-Up Loans, mentors and how to increase your chances of business survival. Most people will admit to having an idea for a business, but for the majority it remains just an idea, an idea that never goes away and occasionally, nearly makes it into the world.I n this talk, start-up expert Jonathan will explain how to test your business idea quickly and cost-effectively so you can start trading and making money. 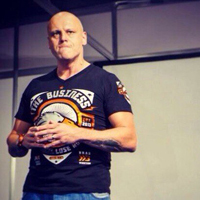 The UK’s #1 Motivational business speaker and bestselling author of ‘Get Off Your Arse’, ‘Get Off Your Arse Too’ and ‘Life. Business. Just Got Easier’, Brad will positively change the way you think, operate and do business forever. It’s a bold claim but one that he backs up every single time!